With famous brands all over the world saying no to the use of exotic leather for their products, time has finally arrived for us to speak up and say what we know and think about this topic. Last one to say goodbye to exotics was Chanel in the first days of December, justifying the choice with ethical reasons: it was more and more difficult to obtain ethically sourced leather. We will not discuss Chanel’s whys, but we will say from our point of view (more than 15 years of work in this niche) what we think about it and what we will do. It is distressing for us to even consider that such outstanding examples of conservation, many of which involve sustainable and careful use of reptiles for skins, may collapse because of this well-intentioned but misdirected decision. Instead of working to make improvements, Chanel has decided to take the lazy option. Studies has shown, with tangible example, that locals, habitats and reptiles too benefit from the sustainable use of exotic leather. This why many are worried: brands like Chanel influence the mainstream opinion. If people who know nothing about exotic leather, CITES and all the effort that comes with this world, hear big brands say that exotic leather is not sustainable or ethical, what do you think will their reaction be? They will just believe it. Many millennials prefer to buy products that are ‘ethically sourced.’ But the irony is that the economic use of wild animals is far more ecologically sustainable. That’s what IUCN is saying. What will you believe? To help you decide, we wrote this blog post. 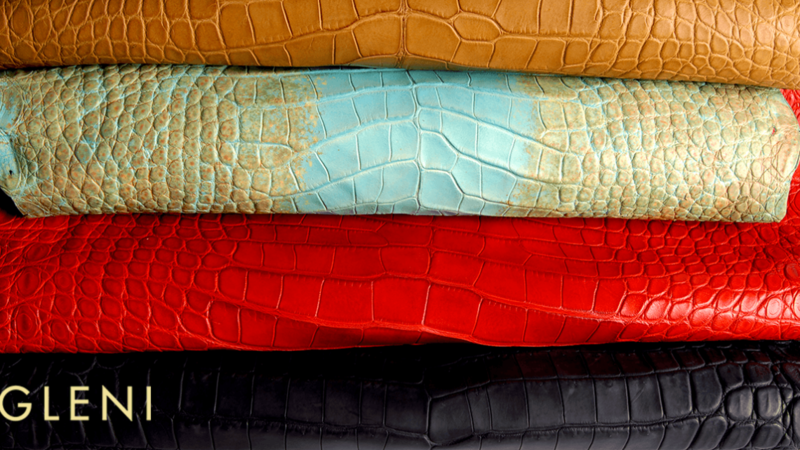 So, here are 5 ethical reasons why you should keep buying product made of exotic leather. exotic leather trade sustain people from developing countries where farms are kept. Reptiles farming involve entire families that can, with the selling of leather, survive. If those farms had to close, this people would no longer have work, food and money. They would no longer receive subsidies and the economy would no longer guarantee a stable subsistence. The people will return to poverty. Thanks to exotic leather trade, people are interested in the conservation of the habitat. If the farms had to close, the population would no longer be interested in habitat conservation. That habitat would soon be destoryed and replaced with constructions or areas for other purposes. Thanks to exotic leather trade, animals are under constant control and monitoring and don’t have to face the poachers. If the farms had to close, those animal and many other species living in the same habitat would return to wildlife, without the possibility to monitor their well-being, reproduction and numbers. The same goes to the species sharing their habitats. People would no longer have the chance to protect them from poachers and other dangers. Thanks to exotic leather trade species that share reptile’s habitat have the chance to survive and not loose their home. Remember, when you protect one spieces and its habitat, you are not only protecting them. You are protecting everything else that share the same habitat. exotic leather trade finances the protection of other endangered species. Every step of the trade is under control of CITES. For each step you have to pay a sum. The money will go back to CITES, that will finance other endangered species. Are our reasons ethical enough for you to keep buying exotic leather products? Will you be influenced by mainstream opinions or will you ask for more information? Gleni Boutique’s Blog – Is giving up on exotic leather trade really ethical?